In order to show off the enormous amounts of humor that I know you guys have, I've come up with the Lostpedia Caption Contest. Because there's no winner, it isn't an actual contest, but the name is alliterative and sounds nice. Here's what you do. Take a look at the image below, and then add your own caption to the image that you think will be funny. It's sort of like the blog's take on "hedding," but the captions can be anything you make up. 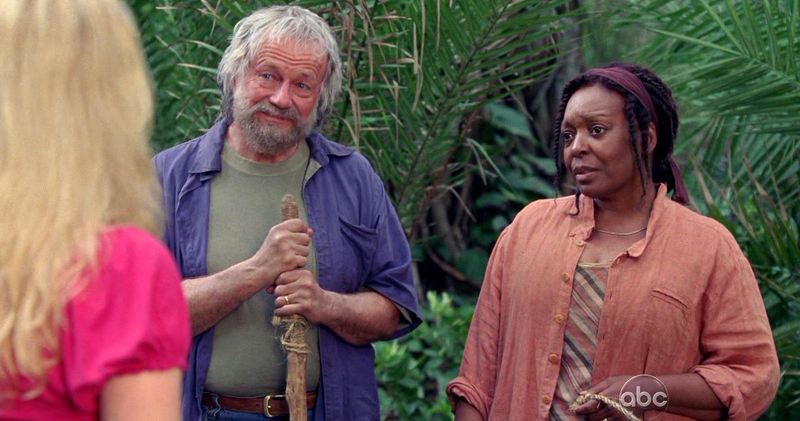 The general rule is that you keep it appropriate; if they wouldn't say it on Lost, don't say it here. The Lost Rewatch: 1x01 "Pilot, Part 1"
Twitter ARG Update 2 -- Real or not? Food for Thought: Tabula Rasa for the Dead? Join IRC on finale night!